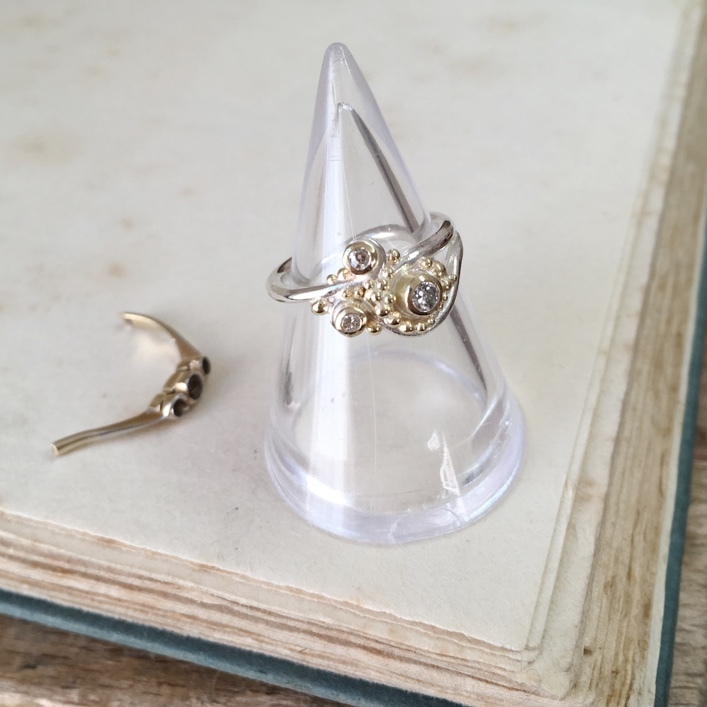 One of my favourite up-cycled rings of 2017. 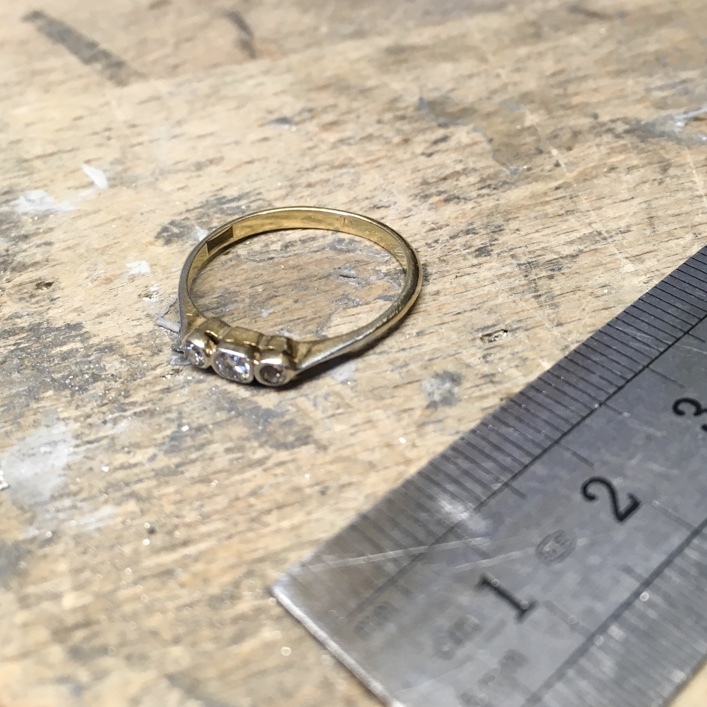 Using 3 small Diamonds taken from a retired old ring, I set about designing them into an organic style piece in solid 9ct white gold. 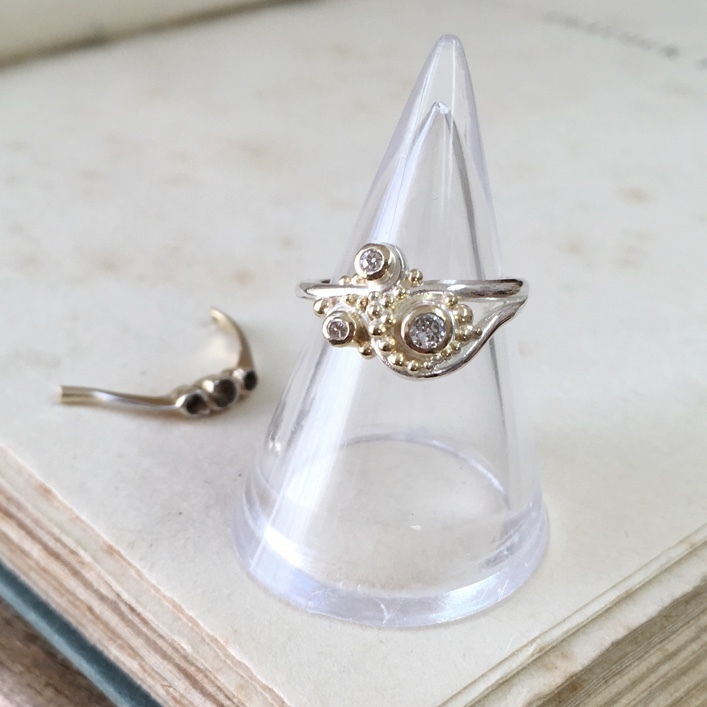 18ct yellow gold settings were used to match the many tiny granulation beads made from the old gold which give it great tonal contrast.